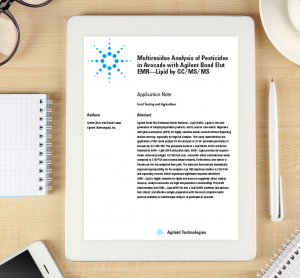 This Application Note demonstrates a sensitive and precise method for analyzing 12 mycotoxins in corn and peanut matrices and five mycotoxins in black pepper matrix on the Agilent Ultivo triple quadrupole mass spectrometer. 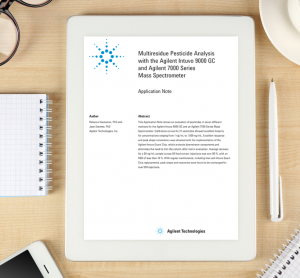 This application note shows an evaluation of pesticides in seven different matrices for the Agilent Intuvo 9000 GC and an Agilent 7000 Series Mass Spectrometer. 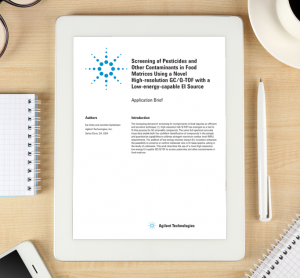 This study demonstrates the application of this novel product for the analysis of 23 GC-amenable pesticides in avocado by GC/MS/MS. Methods and strategies for the analysis of food contaminants, residues, and adulterants. 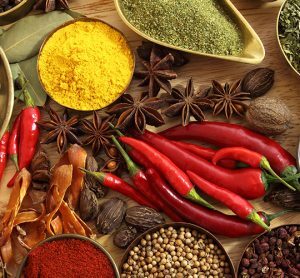 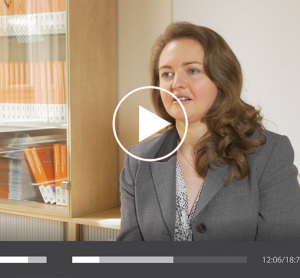 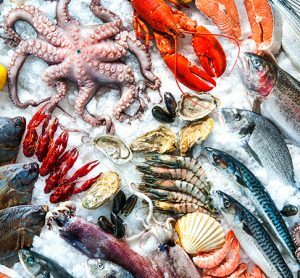 How to develop new methods and strategies for the analysis of food contaminants, residues, and adulterants. 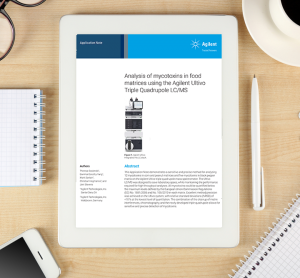 This application note describes the development and validation of a large pesticide multiresidue LC/MS/MS method using Agilent 1290 Infinity II LC systems coupled to Agilent 6490 triple quadrupole LC/MS instruments. This study investigates the modified EMR protocol for the analysis of GC amenable pesticides in avocado by GC/MS/MS. 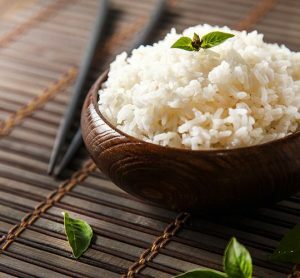 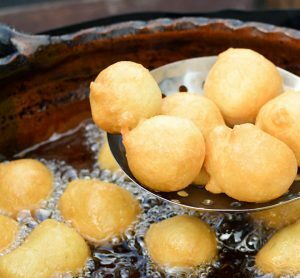 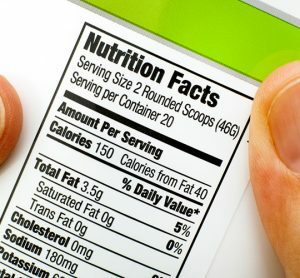 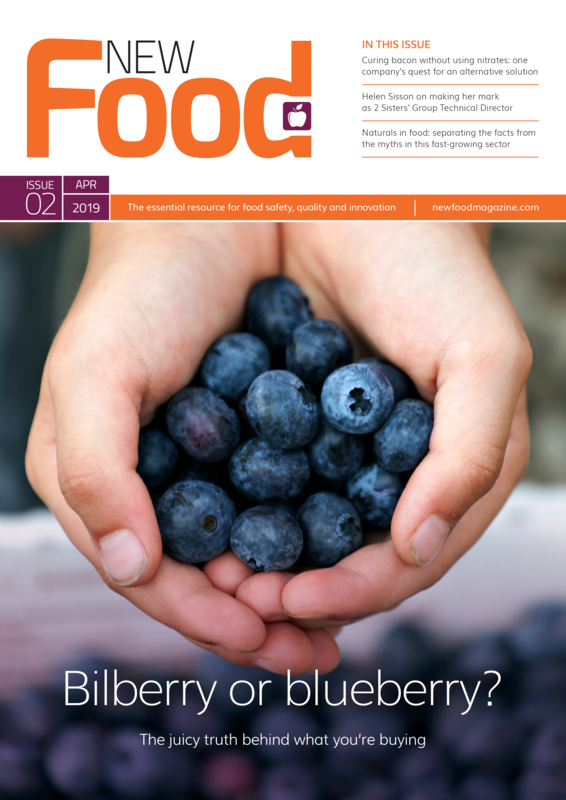 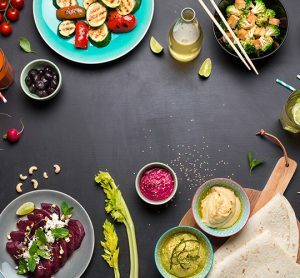 The increasing demand of screening for contaminants in food requires an efficient and sensitive technique. 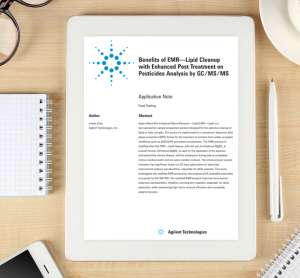 This technical overview presents the validation results as supplementary information for the application note entitled “Improved LC/MS/MS Pesticide Multiresidue Analysis Using Triggered MRM and Online Dilution.